These notes were prepared for a presentation to the Mile High Wildlife Photo Club Digital Group on July 25, 2013. I’m not sure “adjusting exposure” is the best description of what I’m going to cover in my presentation. I think of “exposure” as a global effect that treats all levels of brightness the same way. If exposure is increased when a photograph is taken, both light and dark areas of the image are made lighter. If it is decreased, both light and dark areas of the image are made darker. Usually I want to do more than that in post-processing. For example, I may want to bring out details in dark areas of an image without lightening bright areas. Making such changes is perhaps better described as “adjusting relative sensitivity to light.” That sort of adjustment means more than “exposure” to me, but it’s what I’m going to cover here. I am, however, going to stick to the theme of “globalness” in one important respect. Except for a passing comment or two, I’m going to ignore one of Photoshop’s most powerful tools: the ability to mask adjustments so they apply only to selected areas of an image. I’m going to stick to one other ground rule. I’m a firm believer in maintaining original data in my Photoshop files. I don’t know why that is. Many good photographers duplicate background layers of their images and make changes to the copies. Directly editing duplicate layers preserves the original image, but does not provide a lasting record of the changes. I prefer to apply my changes as adjustment layers or as smart filters. These techniques allow parameters to be modified without starting over again. Although I’ll give examples of specific adjustments, there’s really no substitute for sliding sliders to see an effect. I encourage you to download sample images and try things out for yourself. I like simple examples that allow me to see just what an adjustment does. To help visualize adjustments, I’ve created several graphic images. 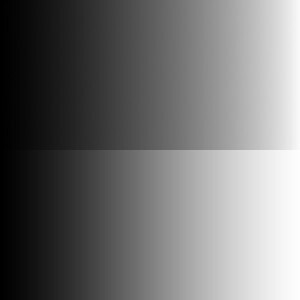 Figure 1, a simple black-to-white gradient, is an example. Some adjustments affect dark tones. Others affect light tones. Still others affect only mid-tones. Looking at an image like Figure 1 before and after an adjustment clearly shows the effect of the adjustment. I’ve selected my example graphics so they have identical top and bottom halves. To demonstrate effects of adjustments in these notes, I’ll generally adjust only the top half of graphic images. For example, Figure 2 shows an adjustment that darkens mid-tones of the image in Figure 1. Figure 2. An example showing how adjustments to graphic images will be displayed. The top half of the image shows the adjustment. The bottom half is unadjusted. Although use of graphic images has advantages, I’ll also demonstrate effects of some adjustments on actual photographs. Examples are based on Adobe Photoshop Creative Cloud. I imagine they are relevant for other relatively recent versions of Photoshop, but I’ve not tried them all. As I noted above, I make non-destructive, documented adjustments in Photoshop by using adjustment layers and smart filters. Photoshop Creative Cloud and its predecessor Photoshop Creative Suite come with two very useful programs: Bridge for viewing, naming and categorizing images and Camera Raw for manipulating raw image files. Raw image files have special formats tailored to the digital cameras that produce them. Camera Raw handles the transition of raw files to files that Photoshop can manipulate directly. Its adjustments (including cropping) get saved along with changes made by Bridge in either a database or “side-car” .xmp files. These saved changes get processed when images are displayed in Bridge or opened for Photoshop. Lightroom is another Adobe program that can make non-destructive changes to photographs. Because I don’t use Lightroom, my examples will be from Bridge and Camera Raw. However, I believe Lightroom has many features similar to those I’ll describe. I normally make most basic exposure adjustments in Camera Raw before opening images in Photoshop. Camera Raw 8, which is distributed with Photoshop CC, allows adjustment of Exposure, Contrast, Highlights, Shadows, Whites and Blacks. Older “legacy” versions of Camera Raw allow adjustment of Exposure, Recovery, Fill Light, Blacks, Brightness, and Contrast. Camera Raw 8 will revert to the legacy set of adjustments for images that have saved adjustments created with legacy versions of Camera Raw. Raw image files are opened in Camera Raw when you double click on their thumbnails in Bridge. To open JPEGs and a limited number of other file types in Camera Raw from Bridge hold down the Ctrl key while clicking (Mac) or right-click (Windows) the image thumbnail and select Open in Camera Raw… from the menu. After making Camera Raw adjustments, you can click Open Image button toward the bottom right of the Camera Raw display to open the adjusted file in Photoshop. Clicking the Open Image bottom creates a raster image by performing the Camera Raw adjustments on the original image and then opens the raster image in Photoshop. If you care to do so (I almost always do), you can hold down the Shift key while clicking open button. The Shift key changes the Open Image button to an Open Object button. Clicking the Open Object button opens a Photoshop Smart Object that contains both the original unadjusted image and the non-destructive Camera Raw adjustments. Clicking on the layer thumbnail image for a Smart Object in Photoshop’s layers menu will reopen the image in Camera Raw. Camera Raw adjustments can then be viewed or modified. Clicking OK after Camera Raw adjustments have been modified saves the new adjustments into the Photoshop Smart Object. I plan to discuss primarily Levels, Shadows/Highlights, and Curves in my presentation. However, it seems incomplete to discuss “adjusting exposures” without at least mentioning basic Camera Raw adjustments and the Exposure and Brightness/Contrast adjustments Photoshop. My posts will begin with discussions of these adjustments even though I may not cover them in detail in my presentation to MHWPC. In my next post, I’ll discuss some of the adjustments available in legacy versions of Camera Raw. This entry was posted in Photo Techniques by Bob Stocker. Bookmark the permalink.